Update 11/23/2018: Updated the No Fame Decay mod to work properly. You may still get the notification about their fame going down, but it actually doesn't. Hi everyone! Here are some new mods for you all. I worked hard on these and did a lot of testing, and success, they work! There are four mods total! claudiasharon_NoFameDecay->Fame never decays and Sims can stay at their current level or progress up but their level will never go down. 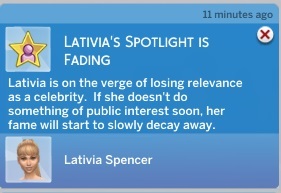 claudiasharon_SlowerFameDecay_50%->Fame decays slower by 50% than default. claudiasharon_FasterFameDecay_x2->Fame decays 2 times faster than default. claudiasharon_FasterFameDecay_x4->Fame decays 4 times faster than default. 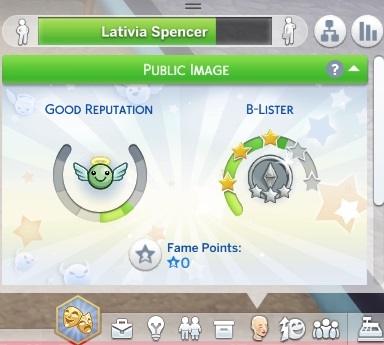 Get Famous is required! Made with patch 1.47! 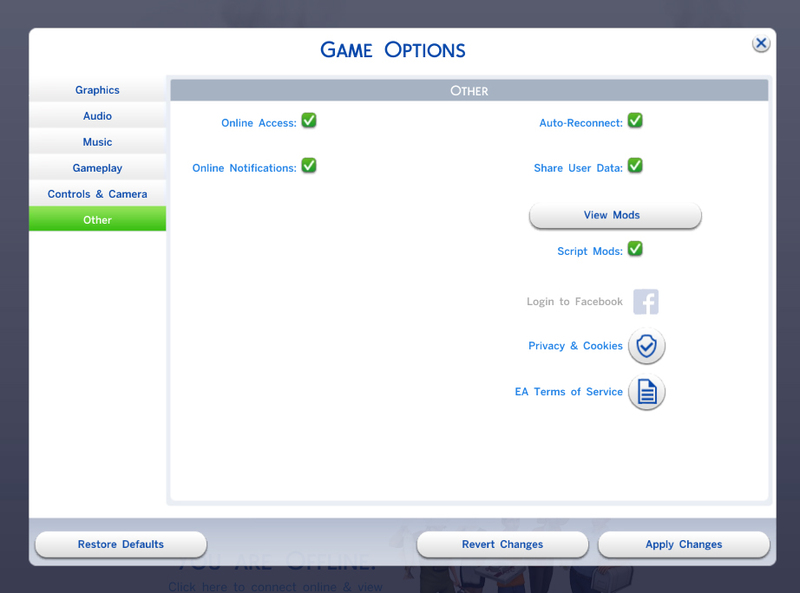 Values for each mod package are under the "spoiler" if you're interested. Under this spoiler is the instance that was used to create these mods.